French Tarot (jeu de tarot) is a classic trick-taking card game for 4, played with a tarot deck. As the name suggests, Tarot card game is most popular in France, but it is also widely played in the French-speaking parts of Canada. Known also as ‘the Game of Kings’, the game has alternatives where it is played by 3 or 5 players. French Tarot is played with a special deck designed for the game. The Tarot deck consists of 78 cards – the four standard suits plus an additional 21 numbered trump suit. The standard decks have 14 cards of a suit – 1 to 10, Jack, Cavalier (a new card), Queen, and King. There is also one extra card with a special function – the Fool. The most unique and a bit confusing part of French Tarot is that it is simultaneously a team game and a solo game. In the end, the player with the most points is the sole winner, but each round the gameplay opposes three players against one. Teams shuffle when rounds change and player dynamics can escalate quickly. That’s what makes the game so fun to play. 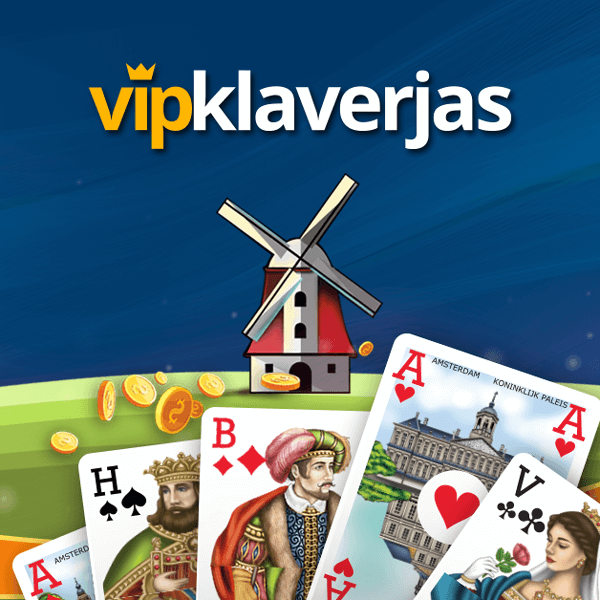 You can play the game on all mobile devices, Facebook and on the web! Customisable player profiles. You can change your avatar, fill your location and write a smart status! Upload your favourite pictures to your personal gallery! 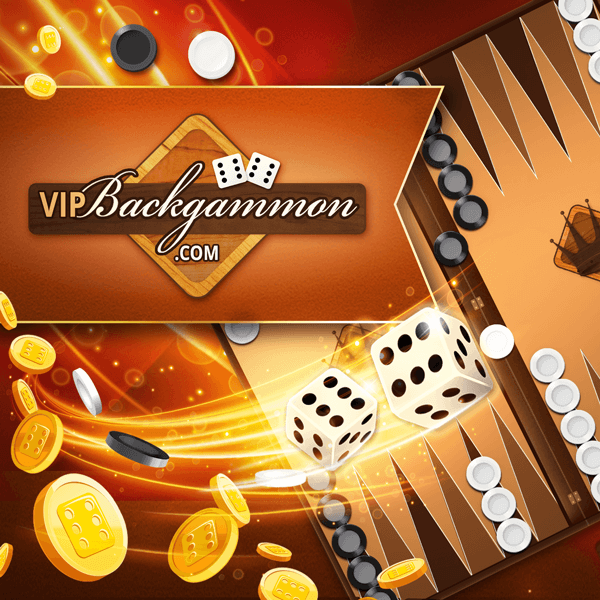 VIP users can browse and like them! You can send other players a friend invite, like their profiles and write them a private message! If you really enjoy playing with someone you can show him/her that by taking advantage of our in-game gifts shop! Choose one of our various gift options and use it to impress him/her! Make your profile and game unique with the various items that you can acquire with gems through our in-game shop! Notifications header where you can keep track of everything that is happening around you! 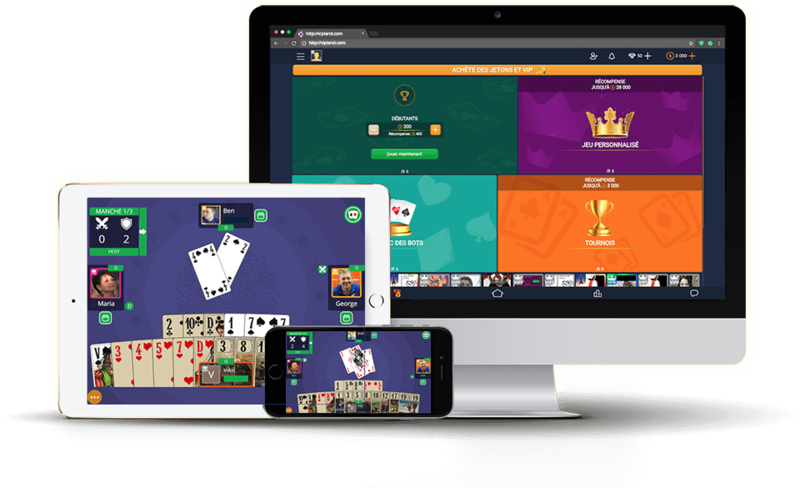 You have the ability to create custom games with custom bets and turn time. We decided to reduce the possibility of players cheating or abusing each-other in-game by building a predefined list of appropriate phrases. Also, we have a variety of emojis that you can use and show your reactions during the game! Write in the global chat and share your thoughts and interests with the other players! Four weekly leaderboards you can compete in! Play French Tarot online on any device! VIP Tarot is a true cross-device platform. This means you can play Tarot online with the same account on your phone, your desktop computer, or even your Smart TV. And the best part is it is completely free! You can download VIP Tarot from the Appstore or Google Play, or you can play directly in your browser without any downloads or plugins! VIP Tarot runs smoothly on any resolution and on any device! A list of other HTML5 games created and produced by casUALino. Hearts is a classical trick-taking card game for 4. It is a fun game where every player is playing solo and tries to beat the other three by having the least points in the end. There is no trump, Hearts and Queen of Spades bring penalty points you must avoid. 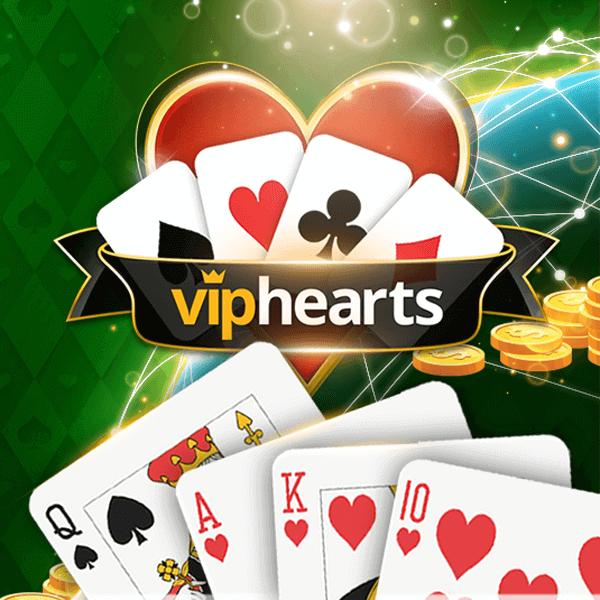 A complex rating-based matchmaking system guarantees the thrill of each Internet Hearts game you play! How do I play Tarot Online? 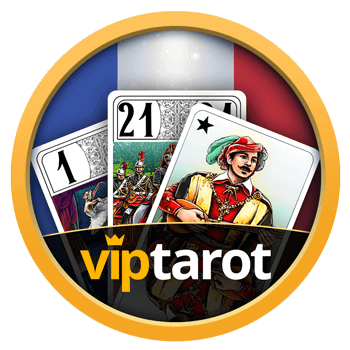 Login with Email: Use this method if you signed up with your email address to VIPTarot.fr. Choose “Login” from the welcome screen. There, use your credentials to login. Log in with Google: Use this to log in to your currently active Google account. 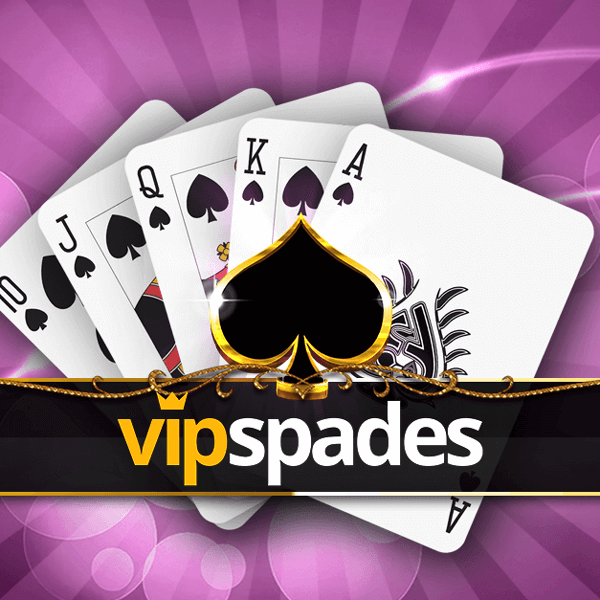 This will give you full access to the website and allow you to utilize the cross-platform features that VIP Tarot offers. What are chips used for in VIP Tarot? Chips are a virtual currency in VIP Tarot. They are used to purchase items from the store, send gifts and join game rooms. Chips can be purchased in our store, using one of the payment methods that our site supports. In addition, they can be earned from games. 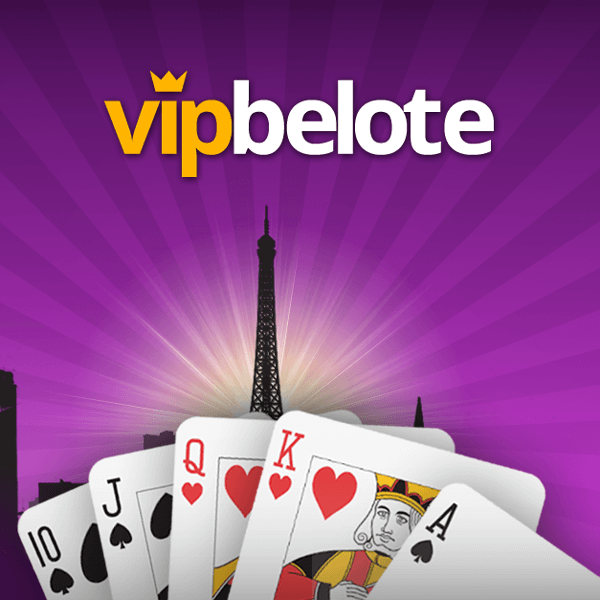 Every registered user receives free chip bonuses every day.